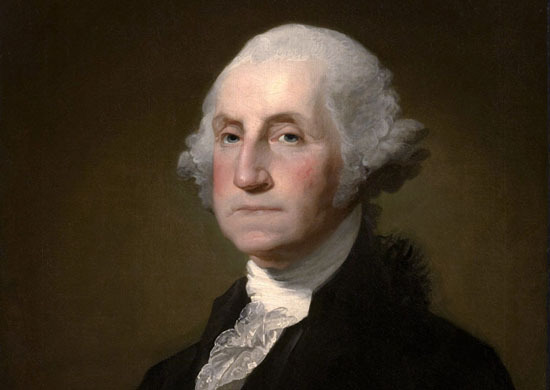 George Washington: Weak, government-loving socialist by Gilbert Stuart Williamson. Non-partisan 1789-1797 Oversaw the creation of a strong federal government, implemented a tax system, and created a national bank. Stayed out of the French Revolutionary Wars. 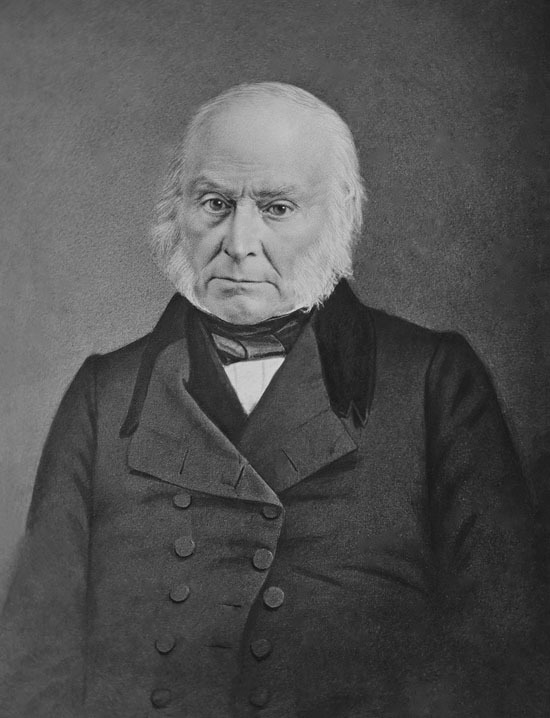 In his farewell address, he warned against partisanship, sectionalism, and involvement in foreign wars. Weak, government-loving socialist. Federalist 1797-1801 Promoted a strong central government, restarted the U.S. Navy and created the Marine Corps. 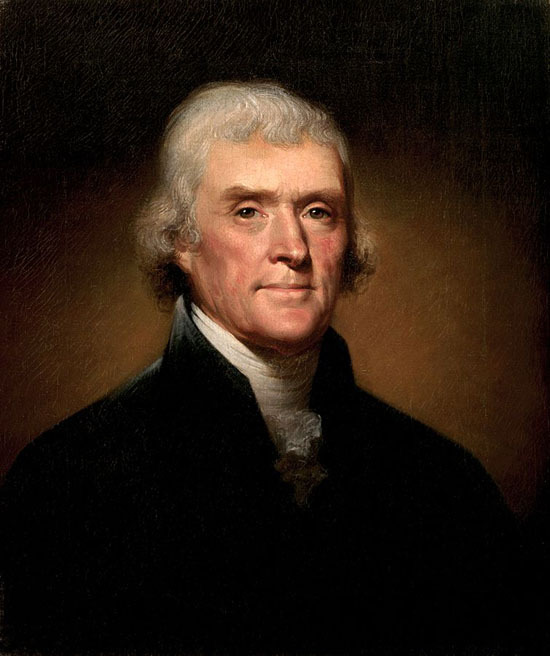 Penned “Thoughts on Government” in which he argued for a government that promoted “happiness, to the greatest number of persons, and in the greatest degree, is the best.” Federalist … doesn’t that mean government? Democratic-Republican 1801-1809 Supported public education and freedom of the press as the cornerstones of democracy. Sought to expand land distribution to the poor. Advocated for gradual emancipation of slaves. Authored the Virginia Statute for Religious Freedom that became the basis for freedom of religion in the Constitution. Believed in the separation of church and state. King of the libtards. Thomas Jefferson, Libtard King by Rembrandt Peale, 1800. – Thomas Jefferson, Autobiography of Thomas Jefferson, 1821. Democratic-Republican 1809-1817 Wrote the Federalist Papers with John Jay and Alexander Hamilton. In a note opened after his death in 1836, he stated, “The advice nearest to my heart and deepest in my convictions is that the Union of the States be cherished and perpetuated.” Statist. Democratic-Republican 1817-1825 Established the Monroe Doctrine stating the United States would neither meddle in or interfere with the concerns of European powers as well as asserted the U.S. opposition to any European interference in the Americas. Supported the founding of colonies in Africa for free African Americans that eventually became Liberia. Monrovia, the capital of Liberia, is named for him. Loony leftist. Democratic-Republican 1825-1829 Ended the war of 1812. Noted as one of America’s greatest diplomats. Predicted the dissolution of the union from slavery. Supported infrastructure improvements such as roads, ports, canals, a national university, and funding for the arts and sciences. Hippie. Democratic 1829-1837 Denied the right of states to secede from the union or to nullify federal law. Unionist. Democratic 1837-1841 Set up a system of bonds to deal with the national debt and established an independent treasury system. Advocated for lower tariffs and free trade. Considered slavery immoral but sanctioned by the Constitution. Despite support for free trade and slavery as Constitutional, was a Democrat. Therefore, a libtard (though one of our favorite libtards). Whig 1841 (died in office) Promised to reestablish the Bank of the United States and extend its capacity for credit by issuing paper currency. Libtard. Whig-Independent 1841-1845 Fought to preserve the union through expansionist policies. Annexed Texas. Signed the Webster–Ashburton Treaty with Britain and the Treaty of Wanghia with Qing China. Ruined Texas forever. We will never forget. Remember the Alamo! Democratic 1845-1849 Won Mexican-American War. Built an independent treasury system that lasted more than 50 years. Oversaw the opening of the Smithsonian Museum and the first postage stamps. Government will never work. Moron. Whig 1849-1850 War hero. Fought to preserve the Union. Thug. Whig 1850-1853 Supported the Compromise of 1850 that briefly ended the crisis over slavery. 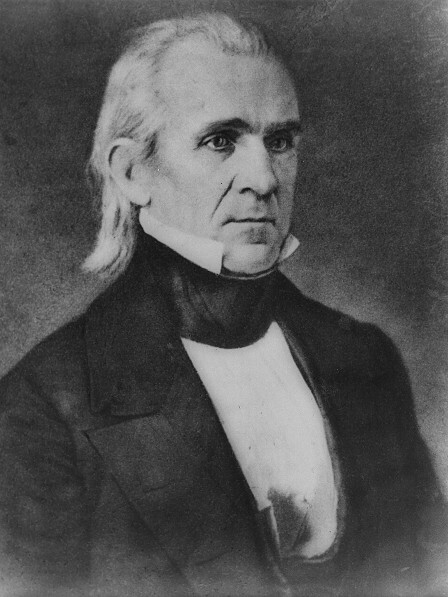 Refused to join the Republican Party when the Whigs broke up in 1854-56. Traitor. Democratic 1853-1857 Enforced the Fugitive Slave Laws. Against fugitives. But still a law-enforcing Dumbocrat. Democratic 1857-1861 Believed secession was illegal and also going to war was illegal. Failed to deal with the problem of slavery and secession in the South. Weak statist. Republican 1861-1865 Preserved the union. Ended slavery. Promoted rapid modernization of the economy through banks, tariffs, and railroads. The. Worst. Socialist. Abraham (“dirty unkempt socialist”) Lincoln, November 1863 by Alexander Gardner. 17. Andrew Johnson Democratic 1865-1869 Fought for restoration of states that seceded. Directed Southern states to hold conventions and elections to reform their governments. Libtard. Republican 1869-1877 Led the effort to remove vestiges of Confederate nationalism and slavery, prosecuted the Ku Klux Klan, and enforced voting laws and rights through the army and the Department of Justice. RINO. Republican 1877-1881 Believed in meritocratic government, equal treatment without regard to race, and education. 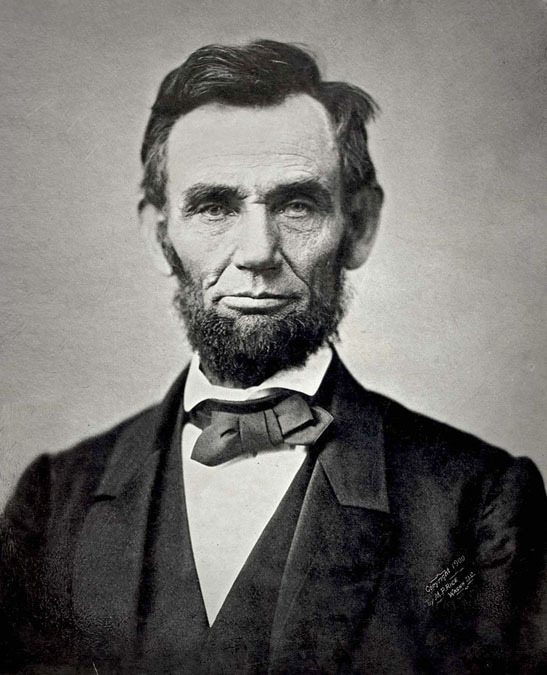 His biographer said that his greatest achievement was to restore popular faith in the presidency and reverse the deterioration of executive power that had set in after Lincoln’s death. Commutard. Republican 1881-1881 Fought for freedom for all, including African Americans, and public education. When told that his party, including his own campaign manager, Stephen W. Dorsey, was involved in corruption at the Post Office, Garfield directed the attorney general and postmaster general to root out the corruption in the Post Office Department “to the bone.” Freedom hater. Freedom-hater James A. Garfield courtesy of Library of Congress. Republican 1881-1885 Lowered excise taxes (taxes paid by consumers) on everything but liquor. Spent a surplus of $145 million on internal improvements. Big government spender. Democratic 1885-1889 and 1893-1897 Cleveland was noted for his honesty, integrity, and commitment to the principles of classical liberalism. He relentlessly fought political corruption, patronage, and bossism. 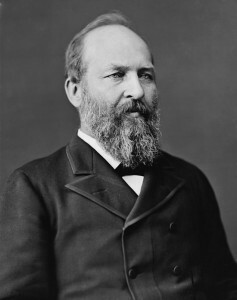 His reputation as a reformer was so strong that the like-minded wing of the Republican Party voted for him in the 1884 election. Libtard. Dumbocrat. Republican 1889-1893 Passed the Sherman Antitrust Act. Presbyterian. Hates business. Republican 1897-1901 Raised protective tariffs to promote American industry. Lemming. Republican 1901-1909 Championed “Square Deal” policies promising average people fairness. Nicknamed “the Trust Buster,” he curbed the power of corporations—including breaking up Rockefeller’s Standard Oil—and spoke out in favor of organized labor. The Republic of Soc-landia. 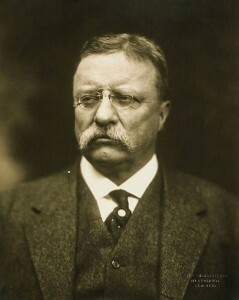 Teddy Roosevelt (“You didn’t create that!”) by Pach Brothers studio. Republican 1909-1913 Continued Roosevelt’s trust-busting policies by filing 90 antitrust suits, including one against U.S. Steel. RINO. 28. Woodrow Wilson Democratic 1913-1921 Passed legislation to establish the Federal Reserve and the Federal Trade Commission. Passed the Clayton Antitrust Act and the Federal Farm Loan Act. Averted a railroad strike by establishing an eight-hour workday for the railroads. Promoted the League of Nations, forerunner of the United Nations. Won the 1919 Nobel Peace Prize. Moonbat. Republican 1921-1923 Urged disarmament and lower defense costs. Negotiated with Britain and Japan to agree to build less naval war ships. Fought for support and investment in highways, aviation, and radio. Raised agricultural tariffs to protect American farmers. Business-bashing elitist. Republican 1923-1929 Increased the estate tax and bolstered it with a gift tax. Improved programs for Native Americans and called for laws to prohibit lynching. Appointed some African Americans to federal office and signed the Indian Citizenship Act granting citizenship to all American Indians, and commissioned a reform panel to examine federal institutions and programs dealing with Indian nations. Effete, weak-kneed Nancy. Republican 1929-1933 Fought the Great Depression with moderate public works projects such as the Hoover Dam. Nanny-state loving nanny. 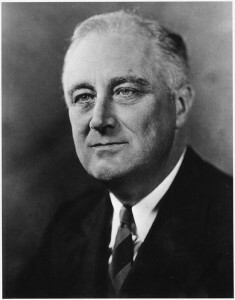 Democratic 1933-1945 Single-handedly pulled the United States out of the Great Depression with his New Deal policies. He created numerous programs to support the unemployed and grew labor unions while regulating business and finance. Won a record four presidential elections. Created the Securities and Exchange Commission, the Federal Deposit Insurance Corporation, and the social safety net. 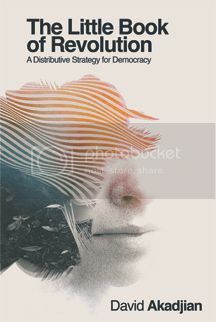 Elaborated four essential freedoms the U.S. should fight for including equality of opportunity, jobs for those who can work, the ending of special privilege for the few, and the preservation of civil liberties for all. Also basically won World War II. Un-American, socialist, statist commutard. – Franklin Delano Roosevelt, Four Freedoms speech, 1941. Democratic 1945-1953 Won World War II. Demobilized the military after the war and advocated for national health insurance and civil rights. Enacted the Housing Act of 1949. Criminal-coddling deviant. Republican 1953-1961 Reduced federal deficits and lowered funding for the armed forces. Established NASA. Warned against the dangers of massive military spending and the military industrial complex in his farewell speech to the nation. Islamofascist. 35. John F. Kennedy 1961-1963 Signed the Nuclear Test Ban Treaty. Established the peace corps and the “New Frontier” program, with the biggest frontier being space. Challenged America to put a man on the moon by the end of the 1960s. Raised the minimum wage and social security benefits. Protected the Freedom Riders in the South. Hippie-loving, soft on crime, Catholic New England liberal. Democratic 1963-1969 Signed massive civil rights legislation including the Voting Rights Act. Designed the “Great Society” legislation. Established Medicare and Medicaid and public broadcasting. Funded urban and rural development. Launched the War on Poverty. Reverse racist. 37. Richard Nixon 1969-1974 Initiated détente and the Anti-Ballistic Missile Treaty. Imposed wage and price controls for short periods and enforced desegregation of the South. Established the Environmental Protection Agency (EPA). Presided over the Apollo 11 moon landing. Democrat. 38. Gerald Ford 1974-1977 Signed the Helsinki accord. Pulled out of Vietnam. Moron. John F. Kennedy, soft on crime by Cecil Stoughton, White House. Democratic 1977-1981 Pardoned Vietnam draft dodgers. 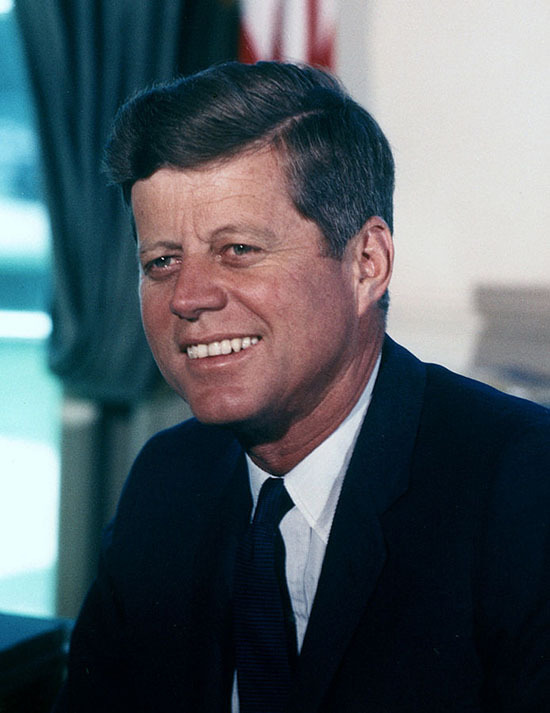 Created the Department of Energy and the Department of Education. Pursued the Camp David Accords, the Panama Canal Treaty, and the second round of the Strategic Arms Limitation Talks (SALT II). ACLU-loving loser. Republican 1981-1989 Brought government into the War on Drugs. Increased military spending. Started deficit-spending in order to “grow” the economy. Supported the Brady Bill and gun control legislation after leaving office. Survived an assassination attempt while in office. Raised social security taxes five times. Freedom-hating, big deficit-spending libtard. Republican 1989-1993 Raised taxes to deal with deficits. Fought to increase exploration of the moon and to build a space station. Sent aid to Somalia after their civil war. Passed the Americans with Disabilities Act and the Civil Rights Act of 1991. Increased federal spending for education, childcare, and advanced technology research. Passed the Radiation Exposure Compensation Act. Terrorist-coddling, thumbsucking socialist. Democratic 1993-2001 Fought to pass national health care reform. Passed the State Children’s Health Insurance Program. Signed the Oslo Accords and tried to address the Arab-Israeli conflict. Left office with a budgetary surplus for the first time since 1969. Statist hippie atheist RINO. Republican 2001-2009 Passed Medicare prescription drug benefits for seniors. Funded the AIDS relief program known as PEPFAR. Believed in deficit spending to finance wars. Passed Troubled Asset Relief Program to bail out banks after financial collapse in 2008. Kennebunkport-loving, New York Times reading, Dubyatard socialist. Democratic 2009-Present Passed an economic stimulus program to pull the U.S. out of recession and avert the possibility of a depression. Passed the Patient Protection and Affordable Care Act. Passed legislation to reform Wall Street and the Consumer Protection Act. Proposed modest gun control legislation after the Sandy Hook Elementary school shootings. Socialislamofascist-redistributionish-communitarian. 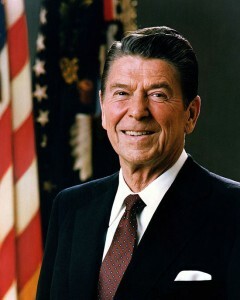 Official 1981 portrait of President Reagan, deficit-spending libtard. President Reagan raised Social Security taxes five times.